These are three of the eight Uttar Pradesh constituencies going to polls on April 11 in the first phase. 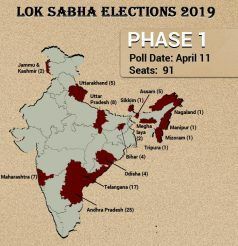 First phase election is on April 11. 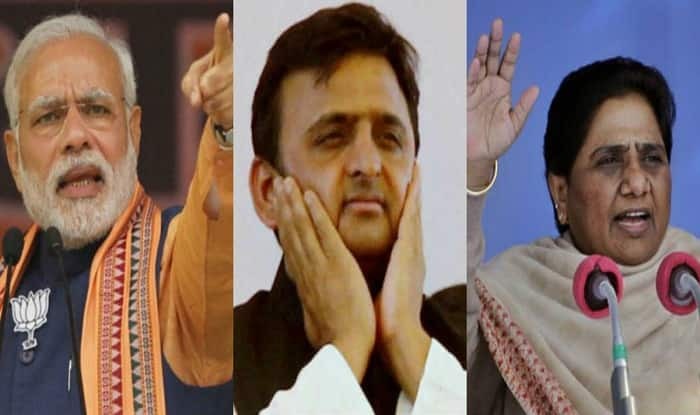 Lucknow: The stage is set for a high-octane Lok Sabha election in Western UP constituencies of Saharanpur, Kairana and Muzaffarnagar. Saharanpur: The people of Saharanpur will see Imran Masood of the Congress fighting it out with BJP’s sitting MP Raghan Lakhanpal. The seat is going to witness a triangular battle among the SP-BSP-RLD, Congress and the BJP. From the alliance is meat businessman Fazlurrehman. What make this an interesting battle are two recent developments in the recent past. Congress General Secretary (east UP) Priyanka Gandhi Vadra met Bhim Army chief Chandrashekhar Azad in Meerut and also, the Masood family had a patch-up after five years. According to a leading daily, these developments might have a far-reaching impact on the election outcome not just in Saharanpur but in the neighbouring constituencies as well. Saharanpur Lok Sabha constituency comprises five assembly seats which boast of a huge Dalit population. Also, the Masood family reunion has improved Imran’s chances of winning. He had parted ways with his uncle Rasheed Masood during the 2014 elections over ticket distribution. Rasheed is a five-time MP now with the BSP. So Imran contested from the Congress and his cousin Shadan fought on an SP ticket. This split the votes within the family, to the advantage of BJP’s Lakhanpal. But this time, supporter votes won’t be split. Now, another interesting factor is Imran’s support to Bhim Army’s Chandrashekar who was booked under the National Security Act. Bhim Army has built itself a support base ever since it accused the government of siding with Rajputs after their caste clash with Dalits in May 2017. This would be major issue in the election even though the BJP is likely to play the nationalism card. Kairana: In Kairana, Hukum Singh of BJP had defeated Nahid Hasan of the SP. This seat fell vacant after Singh’s death of Singh and Mriganka Singh, the saffron party candidate, was defeated by Tabassum Hasan, a joint Opposition candidate, in the by-elections of 2018. This year, the BJP has fielded Pradip Chaudhary while the SP-BSP alliance has propped Tabassum Hasan again. Chaudhary is a two-time MLA. This seat hasn’t been any party’s bastion. In 2014, it went to the BJP, only to be wrested by Tabassum. In 2009, a BSP candidate held the seat. Muzaffarnagar: Muzaffarnagar is another sensitive seat that saw riots in 2013 which tore apart the communal harmony between Jats and Muslims here. This could bring hope for the Rashtriya Lok Dal (RLD) — which is contesting these elections in an alliance with the SP and the BSP — to revive its equation of Jats and Muslims, coupled with Dalit support. The party has fielded its chief Ajit Singh who would try his luck from here after losing from his traditional Baghpat constituency in 2014. While the BJP definitely has created a base here, Ajit, who is the son of late Chaudhary Charan Singh, is hoping to woo Jat votes back. In 2014, BJP’s Dr Sanjeev Kumar Balyan had defeated the BSP’s Kadir Rana, the sitting MP then. This year, Balyan would be defending his seat. The Congress has not fielded a candidate from here.